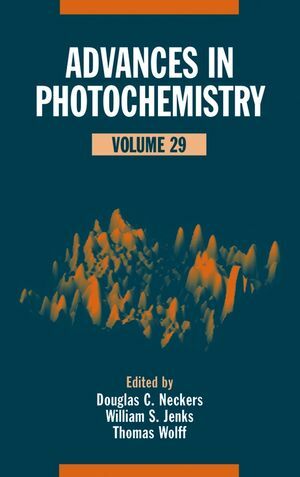 The Journal of the American Chemical Society says this reference provides "a wealth of information on frontier photochemistry" and "could easily serve as a definitive source of background information for future researchers." This volume features critical evaluations written by recognized experts and covers cutting-edge advances. Challenging and provocative, the articles set the pace for progress and innovation in photochemistry. William S. Jenks is a Professor in the Department of Chemistry at Iowa State University, and is head of the Jenks Research Group. He received his PhD from Columbia University in 1991. He was named a Cottrell Scholar by the Research Corporation in 1995 and received and NSF Career Award in 1996. His research interests include organic photochemistry, reactive intermediates, and sulfur chemistry. Thomas Wolff is a Professor of Chemistry at the Technical University of Dresden in Germany. He received his PhD from the University of Göttingen in 1975. He has served as a lecturer and guest professor at the University of Siegen and the University of Houston, and has been a National Representative of the European Photochemistry Association (EPA) since 2000. Ensemble Photophysics of Rigid Polyphenylene Based Dendritic Structures (M. Lor, G. Schweitzer, M. Van Der Auweraer, J. Hofkens, and F. C. De Schryver). Photochemistry of Short-Lived Species Using Multibeam Irradiation (Mamoru Fujitsuka and Tetsuro Majma). Two-Photon Physical, Organic, and Polymer Chemistry: Theory, Techniques, Chromophore Design, and Applications (Bernd Strehmel and Veronika Strehmel).